Former Chairman of the Ablekuma West constituency of the New Patriotic Party (NPP), Theophilus Tettey and his constituency executives have confirmed going independent in the upcoming general elections. Theophilus Tettey made the pronouncement on a panel discussion on Ghone Tv’s Flagship Current Affairs programme, State of Affairs Monday. According to him, he is running as an independent candidate for his followers, explaining further that his decision will help salvage the seat. 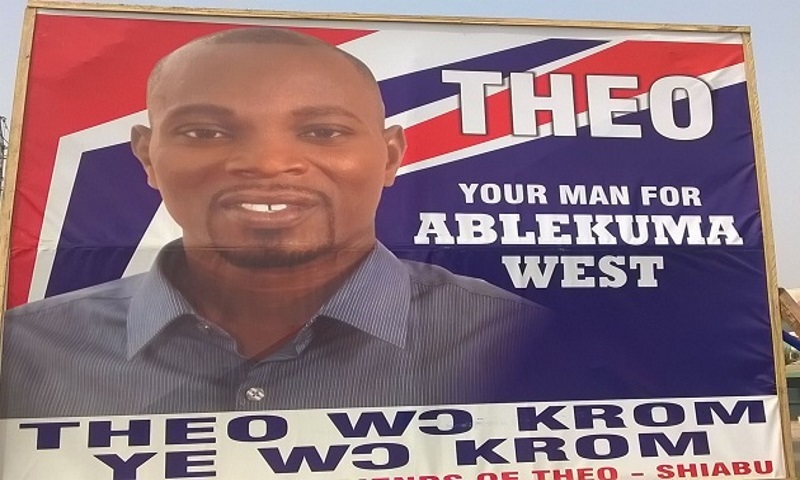 “Certainly, I’m going independent,” Tettey said on State of Affairs after host of the programme, Nana Aba Anamoah posed a question to the former chairman following a report that posters of him going independent had been sighted in the Ablekuma West Constituency. He continued: “The Constituency Executives are supporting me. The entirety of the executives is with me. They’ve all resigned including the area coordinators. We are set for the mission… The issue has gone beyond Theo. Me going independent will rather salvage the seat,’’ he said. He further rebutted media reports that he withdrew from the primaries explaining that he rather petitioned the process but was sidelined. Theophilus Tettey also accused senior executives of the NPP of channelling things in favour of the incumbent Ursula Owusu Eduful in relation to the compilation of the electorate’s album. Deputy minority leader and Member of Parliament for Bimbilla, Dominic Nitiwul who was also on the panel reacting to Theophilus’s comments noted that the use of two albums in a constituency election by the NPP was not a novelty. “I am just telling the world that this is not the first time that there has been usage of two constituency albums and he was a beneficiary of such [in the past],” Nitiwul noted. Dominic Nitiwul, however reiterated that Theophilus withdrew from contesting the primary elections against Ursula Owusu Eduful on his own accord. He however assured party faithfuls that executives of the party will resolve the issue but the distraught Theophilus Tettey was emphatic that his decision to go independent still holds.